I’ve always worked hard at whatever I’ve been doing. My work-ethic comes from doing what I enjoy, and not forcing myself to do something. Highly passionate people aren’t just lucky, they share common characteristics. They work hard, they trust their intuition and they persevere. I don’t see myself having any other option other than following my passion. Without following my purpose, life would be without color, joy and meaning. We all have the habits necessary, we just need to let them shine. As the years have passed, these concepts have grown, and I’ve realized that the only thing that matters is what I resonate with in this very moment. It’s far too easy for me to start questioning what I’m doing. But in the end, what matters is how much I’m enjoying myself. You can never know where you’ll end up, so you might as well enjoy the ride. We’ve been taught that logic is superior, but is it really? Life isn’t a game where all the variables are known, so there’s no way you can predict the future (unless you have special powers, and even then, things don’t quite work out). Courage is something you build up. It’s a muscle. Many seem to believe that following their passion should be effortless. It’s not. It requires work, but the good news is that it’ll be enjoyable work, for the most part. I’ve never worked a real job in my life. I became a professional poker player straight out of school. I had no idea if I was going to succeed. In the beginning, people doubted if making a living playing poker was possible. I had a passion for playing poker, so I kept at it, and eventually started making a comfortable living. That took courage, but it wasn’t extraordinary. I just took things one day at a time, and worked hard. Then I transitioned from online poker to online websites. In the future, I don’t doubt that I will transition to something else. Life is constantly changing. All I have to do is listen to my Inner GPS, and flow with it. If there’s anything I’ve learned, it’s that results rarely come fast. Following your passion doesn’t just happen. In my case, I wasted a lot of money until I started making money online. People tell me that I’m lucky. I seem to get good at everything they say. I’m not lucky. I’m just determined, and I make sure to pick something that I like doing. It’s pretty easy to get good at something you’re interested in. In the beginning, you may not be 100% determined, but that’s okay. Be as determined as you can be, and keep moving forward. Many people mistake a temporary failure for a permanent one. There are no permanent failures. There are only learning opportunities. If you learn everything you can about blogging, try it for a year, and then lose motivation—that’s fine. You never know. Maybe you unconsciously picked up a few skills that will help you down the road. My #1 priority is doing what I feel excited about, what satisfies me at a deep level. If I can’t do that, I might as well be dead. I have bad days like anyone else, but in general I’m a pretty positive guy. I feel good as long as I’m following my heart. There’s a fine line between being blissfully ignorant and positively realistic. It’s something you have to figure out for yourself. Try both, and find your own balance. I personally enjoy being blissfully ignorant, especially if it provokes someone else. There are a lot of people out there that try to tell you that you can’t go after your dreams. Those are usually the people that have given up. They aren’t really in a place to give advice. Giving them a few pokes usually (hopefully) provokes new thought. Being passionate doesn’t mean limiting yourself to one passion. I’ve been passionate about health, martial arts, websites, languages, guitar, cartooning, and on the list goes. My passion changes, but what remains constant is my single-mindedness. I work best when I’m 100% focused on what I do. For example, in 2010 I immersed myself in learning Spanish. I did nothing else but studied Spanish for several months. I’ve since moved back to Scandinavia, so I haven’t used my Spanish in years. I want to be able to spend as many hours as possible on what I enjoy. That is what I mean by being single-minded. I’m always looking to grow. I want to become better, smarter and happier. But you don’t want to lose the fun. Path #1 is faster, but requires more discipline and is less fun. Path #2 is slower, but you’ll enjoy it more. In the past, I would’ve chosen Path #1, but now I’d choose #2, because if I’m not enjoying myself right now, it’s not worth it. I used to have a problem with jumping into too many things at once. I think we all have many interests, which is good, but it’s a double-edged sword. We want to do everything at once. Often when I ask someone what they want to do, they rabble up a dozen different things. What works for me is relentless focus. I pick one thing, maybe two, and focus on them until I feel like it’s time to move on. How do I pick? I notice what I resonate with, and what feels magnetic. For some, this may seem irresponsible, but to me, it’s the most responsible thing I can do. I think about what I want to achieve and am more concerned about making progress than making everything look good. Let’s take blogging as an example, just because it’s on my mind right now. If you want to start blogging, just start. You don’t need a professional design, or to have everything planned out. So often we think we like something, but when we actually start, we realize that it doesn’t feel right at all. That’s why it’s important to start, get your feet wet, and see how it feels. I’ve received a lot of e-mails about time issues. I know some people are single-mothers, working two jobs while juggling two kids. 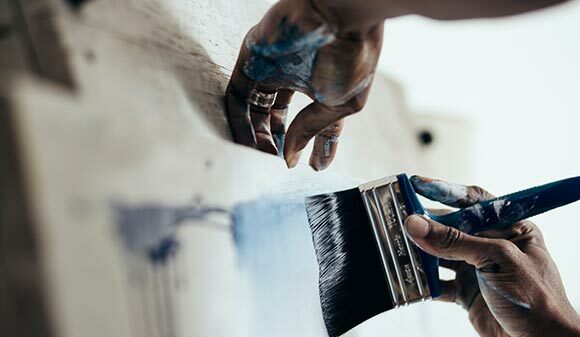 I have no idea how tough that is, but I do know that if you really want something, there are ways to make time and prioritize, even if it starts with a few minutes per day. No matter how tough your situation is, you can always do something. Don’t worry about reaching your goal, just worry about making today more fulfilling than yesterday. As long as I’m doing what I want to be doing, I don’t need self-motivation. It’s only when I do the boring tasks that I have to throw in some ninja-motivation techniques. For example, when I was working on a product of mine, I had to learn the technical parts in order to start selling it. It wasn’t fun, but I knew that it had to be done. Bottom line: The more I follow my passion, and what excites me, the more motivated I am, so there’s rarely a need to push. Sometimes things don’t work out the way I want them to. I do my best to accept whatever comes my way, but I don’t always succeed. If there’s something I try to portray on this blog, it’s the fact that I’m as human as you. Even seemingly god-like personal development bloggers like Steve Pavlina are human. Service to others is really service to self. I’m going to be honest and say that one of the main reasons I want to help you is because it makes me feel good to see you succeed. I’ve been on both sides of the fence. When I was a professional poker player, I was focused largely focused on myself. It was nice, but it wasn’t fulfilling. I’ve since discovered that helping others makes me feel much better than just helping myself. Something I also want to point out is that sometimes you need to help yourself before you can help others. Looking at it from that perspective, personal development is really world development. You can’t help anyone if your cup is empty. You can’t increase happiness in others until you radiate happiness. I have a tendency to get obsessed about the things I am interested in. Like I mentioned above with my Spanish learning. When I started this blog back in December 2009, I was obsessed. I read, listened and did nothing but blogging. It was all I wanted to do. And it helped me go from 0 to 1,012 blog subscribers in 101 days. When you take action, results happen. When I got out of school at 18, my personal power level was very low. As the years passed, I’ve realized that the best place to look for guidance is within. If you’ve been reading this blog, you know I say that a lot. This has helped me build confidence. I by no means have a perfect guidance system. I fall into traps. I make a fool of myself, but that’s okay, because I know that I would not want to be doing anything else. We all have a kid inside of us who wants someone to tell us what to do. We want validation and confirmation. That’s fine, but in the end, you are the only one who really knows what you want. And to contradict myself … When you look at your life, you see that it’s a jumble of coincidences, which makes you wonder: Are we really in control of our life, or are we just along for the ride? I used to think money was the answer to happiness. The only way to happiness was having millions in the bank and relaxing on a nice white beach, but that no longer interests me, because I know the artificial happiness it creates does not last. I need something to work on. I want to follow my excitement, wherever it takes me. I am constantly being pulled in different directions, and I love it. If I were to take a “vacation”, I’d get bored after a week. You don’t need to retire to a beach in Brazil. All you need to do is find what makes you tick. And the funny thing is, you often find it by not trying so hard. There’s a need for discipline, but there’s also a need for fun. I used to be a lot more disciplined than fun. I’d say no to requests to hang out, because I had my eyes on my current goal. I wanted to reach my goal as soon as possible. I wanted to get things done, because I thought that achieving my goals would make me happy, but I’ve since come to realize that it’s a mirage. It’s all a mirage, an illusion. There’s no rush, because happiness is available right here, right now. What’s stopping me from feeling peaceful are the assumptions I make, the beliefs I have, and the thoughts I choose to give power to. Who cares if you reach your goal? Who cares how good you look on paper? Who cares what other people think? We chase after something we’ve learned to be important. It may be money, fame, success, writing a book, or whatever is on your list. It’s something you’ve decided is important, and you’re causing yourself stress. What if you simply let go? What if you let life live itself and did the best you could, without forcing progress? It’s easy to get bogged down in the details, which is why it’s important to take a step back, and look at what you’re trying to achieve. I have a very easy time falling into the trap of looking at numbers in my blogging. I look at how many people unsubscribe from my e-mail list instead of the thank you e-mails I receive. I compare myself to others and think about how far I still have to go instead of looking at how far I’ve come. Most of the things you take for granted today were thought impossible in the past. The point I want to make is this: don’t listen to the nay-sayers, because you will run into plenty of them. You may even have a nay-sayer in your head. You know, that negative nagging part of you. I enjoy being what I call realistically dreamy. If I feel good about something, I’ll go for it. I don’t care if the chances of me succeeding are small, because even if it doesn’t work out, I will gain vital experience points. If at some point you don’t doubt yourself, you’re probably not being uncomfortable enough. Going after your passion means being uncomfortable. It’s not necessarily a bad thing, it’s just different. Being flexible and open-minded means different things to different people. I like to think of myself as conditionally open-minded. There will always be people telling me that I’m doing things wrong, but I don’t listen to them, because the only thing that matters is how I feel about what I’m doing. Yoda was right all along. Last, but definitely not least is the fact that I don’t take excuses seriously. If I want something badly enough, excuses dissolve like paper in fire. If I succumb to my excuses, I know I’m not ready to head down that road. It may also be because it’s not a road that’s a good fit for me at this time. The excuses you have right now don’t matter. What matters is what kind of life you want. And what matters is realizing that what we’re all after is a feeling. We want money so we can be happy. We want to write a book so we can be liked, and we want to be liked because we want to be happy. It’s all an inside job, and the feelings you want are available right here, right now. That’s that for this article. 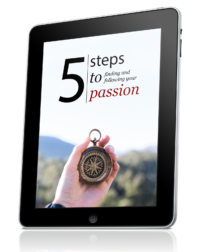 If you want to dive deeper into finding and following your passion, I recommend you check out my free article series on passion here. Something I find passionate people exhibiting is a certain sense of freedom to the topic. They are happy to explore all over and around it, in fact they thirst for it. Offcourse their motivation comes from a internal desire. Great post. I can’t think of a thing to add that you might not have covered! I especially like what you have to say about being guided by your intuition. Also, it’s so true that when we are passionate about what we’re doing we become channels for the work and something greater does take over the wheel. Loved the list here Henri, especially the last one, —NO EXCUSES. It’s so easy to explain off why we don’t reach our goals, why we fall short, what kept us from the prize. But the fact is, excuses stink. They never helped the teller nor the listener. Those that grasp this one habit will always find huge success and happiness in this life. You have to decide what it is you are passionate about, then go all out to make it happen. Thanks for sharing a great post Henri. These are all great points and well articulated. I have always been able to trust my intuition to let my passions guide me. Once passion is in the drivers seat there is no stopping you. Like you, when I was a real estate developer it was all I wanted to think about. When I was a restaurateur I was marvelously obsessed with that. My greatest passion now is my writing and I am often in awe of just how it has taken over my being. In my experience, passionate people reach a level where there is no discipline or habit necessary to get where they are going… there is simply what needs to be done, and they know they will do it. I can appreciate you being obsessed with languages – sometimes you just have to follow your heart and do what you need to do to either get it out of your system or decide to continue down that path. I have to say that I love the last one. Really. Being excuse free and just going for it is something that will make life worth living and get you where you really say you want to be. Excuses are for people who don’t take the time and effort to live the life of their dreams – Eric Heavilin. Lots to think about in this Henri. The parts that stood out for me were about being focused and obsessive, and that’s how you start to make real leaps and bounds in progress. Like you currently learning Spanish. I’ve always tended to get obsessive about things, a simple example is a new record I’d love and get into, then playing it virtually constantly for weeks, even months on end. Or writing in a certain form, like haikus or six word stories, and just be so focused and tuned in to that form of creating that it just pours out of me. Thanks for the article and plenty to digest and learn from. I really enjoyed the simple and seemigly calm style which with you wrote this post. It was easy and interesting to read. It makes me feel at peace. What stood out the most for me on this post was about single focus and the passion to go for it while having a good time. Being single-minded can be a good thing at times yes. I call this the “masculine” energy in all of us and I think it is an important part that sometimes can be a little looked down upon. I think this is true for the scandinavian culture which I share with you. Your post reminded me on focusing a little more on fewer things. I tend to be all over the place at times and this is not a style that works very well for me. I’ll try the passioned focus more. Great to have found the blog. Bienvenido a España. Buena suerte con la práctica del idioma! Focusing on one thing has definitely helped me out, but can be hard to pull off, because there’s too much fun stuff to do. Good list, I think all these are right on. My favorites are happiness and fun. It’s hard to be passionate when your sad. And, if your not having fun, then there’s really no point in doing it. Man, long time i haven’t had the patience to read big blog posts, but when i came across this one and started looking, you caught me! Great list, great post. Is funny how, sometimes you can find the answer for some kind of problem in your head totally by accident. Some of the words here came just in time, thanks. I’ve been thinking about the idea of faster and slower path as well. It’s usually difficult to find the right balance, but if you follow your heart and feelings, you will eventually find it. Maybe the normal 9-5 workweek is actually pretty well balanced… 5 days of work, 2 days off. I try to apply that idea even when I’m not in a “real job”. This is one of the first posts that I’ve read of you, and the headlines for your other posts seem very interesting. I agree with you on all the points too, and am happy to be able to say that I think I’ve got them all down. However, I was wondering, when you say that one should be uncomfortable when following a passion, do you mean that one should be out of one’s comfort zone? That is exactly what I mean, Ara! This is spot on, love your writing style and mindset… Great points across the board, but #18 is my favorite! Outstanding! I love the qualities you’ve chosen. Thanks for including and showing the positive aspects of Non-Balance. I stumbled upon your blog a little over a year ago. You inspired me to start my own blog. I now have a 2nd. Yea, maybe biting off more than I can chew. For me, it’s all about being passionate and taking imperfect action. I didn’t wait for the perfect time or perfect situation. It wasn’t perfect, but I just had to get the ball rolling and make the necessary adjustments along the way. You are the master of calm. Even your writing reflects it. You have been a positive influence to me and its a great list. I would add being grateful because it makes me appreciate what I have and what I can do with what I have. This is absolutely in line with the worlds shift in paradigm since the financial crisis, where people were left homeless, jobless, moneyless and all the less’s of the world and so what did they do? They persued their passion, the driving force of what they love doing and achieved huge success, why? Because when you love what you do, you change the way you look at things, so the things change, so you change, so your life change and you are no longer so focused on money, but guess what? The money comes anyhow as your focus is shifted! Excellent piece Henri it covers all the key facets we should focus on when we follow our passion. Your piece was absolutely brilliant. I’ve already forwarded it on to a friend. Will get hold of your book. A great list to live by as well. Thanks, it puts a great start to my week. Life is about learning who you are and learning to get along with others. Its funny I have found over the years as an artist, the whole art journey is about finding out who you are. I read a book called personality plus by Florence Littauer when I was in my twenties and I would have to say that book has made a huge difference to my life. It is a must read if you want to know about yourself and others. Great advices in a simple words, Henri ! Thank you so much ! A nice one Henri..I am so happy I read this piece.I am particularly blessed with the part on fun and perspective.Comparing ones self or output with others most time distracts one from what he should be appreciative of..the small things of life..I also found out that when I like something,I do it with fun.Anytime i start doing something from today and fail to have fun,I will review my initial interest immediately.Thanks buddy and keep inspiring lives. Your so right about trusting your inner GPS intuition, I so wished I had really listened to mine about 6 years ago. Was working in a school two jobs which I really enjoyed, was 10 mins from home., I’m a plotter but was happy. Until I got an obsession with money which was all in the mind.Then let someone an enemy now, talk me into asking for a teaching assistant post. Yes one was offered to me, my heart was telling me no this is not right. My head was saying go for it. I stupidly took position and have regretted ever since. As post finished 10 months later & had to find other employment. I’ve changed jobs so many times since leaving the school. I now know where my passion was. Now feel like I have lost my way in life. 2008 a friend died, my sister was diagnosed with lung cancer & died in 2010, my husband fell ill at work 2012 & sadly died in July 2013. Feel if I had just stayed at school maybe life would have been a bit easier to bare. That’s a powerful realization, to see the difference between mind and your Inner GPS. Most people never get to that place. While you’ve been through a lot, notice that it’s your mind again saying that things could’ve been different if you did this or that. We can only do what we can with what we have, so you did your best. Now it’s about living in this moment, and seeing where your GPS takes you next. Amen. The things on this list are definitely necessary to be happy and successful in life. The most significant and influential figures in history were all very passionate in what they do. Thanks for the reminder. I’ve found trying to emulate those who are much more successful than you is one of the quickest ways to accelerate your growth. Enjoyed reading this.